Nothing is as comforting to me as a one-pot, hearty meal in a bowl. 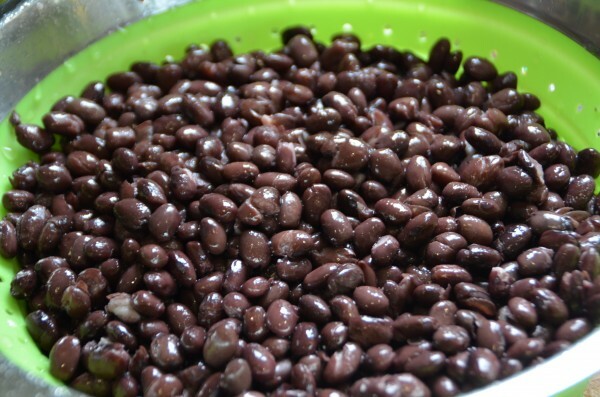 I love substantial soups and stews, especially ones with beans or legumes. I very often make soups on the weekend for lunch or for a Meatless Monday dinner. They also make a fantastic school lunch for the kids the next day. 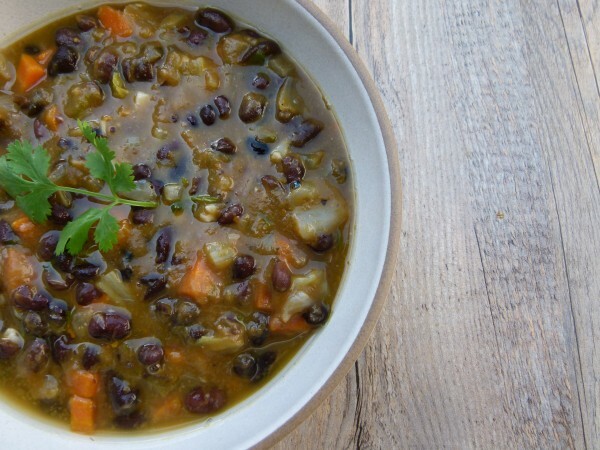 This black bean and pumpkin soup is P-E-R-F-E-C-T for a chilly fall day, especially on Halloween if you want to send everyone off with a filling, warm meal. This is almost like a chili because of the beans and the small amount of cumin and oregano, but not quite as thick. My favorite ingredient in here is the pureed pumpkin which gives the soup a little body. So much nutrition in one bowl! This soup is a really easy one if you use canned pumpkin and canned beans. I’m so glad more manufacturers are responding to our desire for BPA-free products. There are more and more companies who are using cans without BPA. 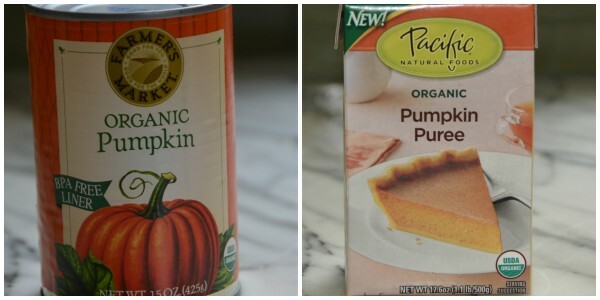 That is particularly relevant to this recipe because I know you can find organic pumpkin puree in BPA-free packaging by a company called Farmer’s Market or by Pacific Foods and organic black beans in BPA-free cans by Eden organic. A gentleman behind the customer service desk at Trader Joe’s told me they don’t use BPA in their cans, except canned tomatoes. I haven’t verified this yet with the company, but I am excited if that’s the case! Also exciting is the fact that for the first time in a loooong time, I have Mr. Picky’s Halloween costume ready to go. This never happens in our house quite this early, as in a week before Halloween. Poor kid one year made a Batman costume the night before out of grey baseball pants and an cape from an old zombie costume of his sister’s. This year he is going as a punk rocker complete with wig and (temporary) nose ring. All of his costumes must involve eyeliner or face paint and this year will be no exception. My girls are not trick-or-treating this year. I think the novelty has worn off. That and my husband said there will be no teenage children of his trick-or-treating without a costume. I agree — way lame. Ideally the girls will stay safe at home with a few friends and a pot of black bean and pumpkin soup on the stove and enough in their bellies that they only feel the need to eat a couple pieces of candy and not a basketful. Believe me, I am not the party pooper you might think I am. I know full well that on Halloween night, Mr. Picky will take all of his candy and hoard it behind the extra towels underneath his bathroom sink. I leave them there without letting on that I know his little secret. Until Valentine’s Day when I need to make room for the fresh loot. Hope you have a fun and safe Halloween! This Thursday is exactly four weeks before Thanksgiving. You know what that means! In a large pot, heat the olive oil over medium heat. Add the onion and garlic and sauté until tender and translucent, about 6 minutes. 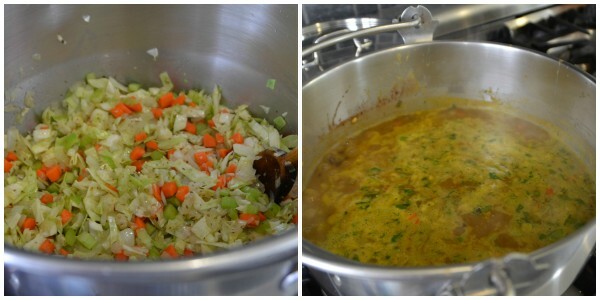 Add the carrots, celery, cabbage, cumin, oregano and cayenne* and toss to coat with the oil, onions and garlic. Sauté for a couple minutes or until the vegetables no longer look raw. Add the beans, cilantro, pumpkin puree, salt and pepper and stock. Bring to a boil and lower the heat to a simmer. Cook partially covered until the vegetables are tender, about 18-20 minutes. Taste for seasoning. I have made this soup several different ways. If you want a little more heat, you can sauté a diced jalapeno pepper (do this in Step 1) and/or add a teaspoon of ground chipotle pepper (add this with the other spices.) If you want a little smokiness without the heat, add a teaspoon of smoked paprika with the other spices. 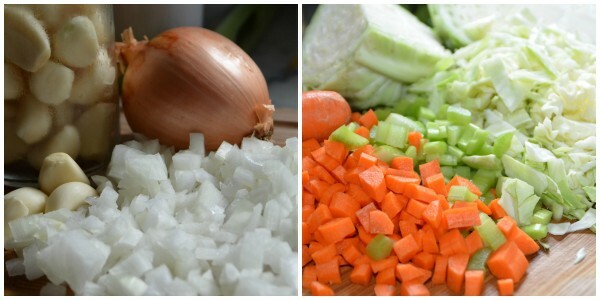 You can also puree part of the soup for a thicker consistency. Lots of options! I saw that you said left overs can be frozen as I did first time. I am debating on making and freezing a whole batch that I may need to triple as to quantity for company for Wed night. Would you recommend making this weekend and freezing or waiting till a day or two ahead and putting in fridge? I made this today and loved it! My family hasnt tried it yet but they should. I really like adding the greens and the pumpkin for extra vitamins. I didnt use cabbage but had some kale and spinach. I making your peanut butter cups next! Tried this last night — everyone loved it! Thank you! That’s what I love hear! Thanks, Faye! This soup was scrumptious!! I made it tonight along with your corn bread and my family ate every bit from their bowls. I added the smoked paprika and the flavor was delicious. I am just loving your blog! Thank you for such amazing recipes. Just made this soup!! SO delicious and nutritious! Love it for the colder weather we’re having here in Illinois!! Thank you! I added the Smoked Paprika, delicious!! I did it with water not stock and it still amazing!! Yay!! So happy you liked it. I think the smoked paprika is fantastic here. Stay warm! I made this the other night and it was so delicious! Since it is now freezing in Boston, I have been on a soup kick and this was quite a success! Yippee! You can also freeze leftovers for another time. You have plenty of cold weather ahead! Thanks, Ellen! This soup recipe worked out great. I added a tsp of Trader Joe’s 21 spice and some shredded chicken. The pumpkin adds a texture that reminds me of blended tortilla in tortilla soup. I am one of those who despises cilantro as well…I added a jalepeno. Thanks for this healthy soup! Nice, Shawn!! Thanks for letting me know! So delicious and so easy. I love that most ingredients are in my pantry. Thank you Pamela. You’re right — good pantry staples recipe! This soup looks so fantastic! I love cilantro but my husband hates it with a passion. Is there another herb you would suggest, perhaps flat leaf Italian parsley? I will probably still finish my bowl with the cilantro ! Thanks ! I think you should leave out the cilantro and not sub another herb. But definitely finish off your bowl with some chopped fresh cilantro! 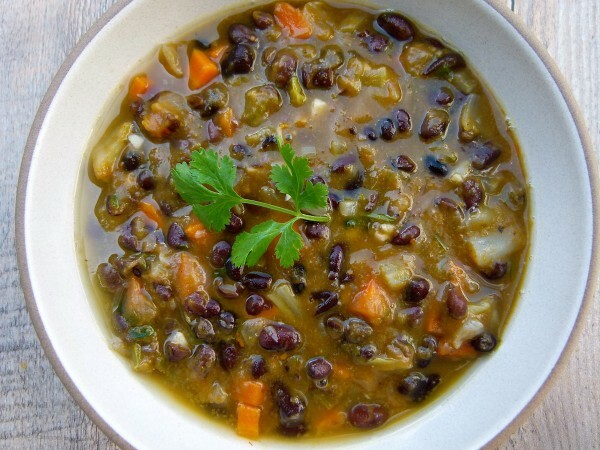 I love looking for new soup/stew recipes in the fall… black bean and pumpkin sounds like an interesting combination… I will definitely be trying soon!! Thank you, Elise! Makes me happy that this soup fit the bill for you! So good! I only had purple cabbage so I used that. Perfect for a foggy day. That’s great! Thank you very much for letting me know!